In three days you can get to know the Basque Coast Geopark in depth following the suggested itinerary below. You can complete your visit with one of the many guided activities we have on offer. The Basque Coast Geopark is a haven for nature enthusiasts, starting with the Flysch Route, followed by the Karst Route, and continuing with a whole host of outdoor activities such as hiking, mountain biking, horseback riding, boat trips and kayaking, etc. The Geopark is also a perfect place to connect with the local culture and traditions of the territory, and to step back into the past recalling old trades, customs, legends, myths, etc. and also enjoy the cuisine and the variety of traditional produce. The narrow, cobbled streets in Mutriku's Historic Quarter, one of the best preserved in Gipuzkoa and declared a Monumental Heritage Site, are the perfect place to start on your journey. Weaving and winding your way through the streets, admiring palaces and ancestral homes, is a delight to behold. Before we know it, we will have come out at the old harbour, where you must visit the old brotherhood of fishermen, now home to the Bentalekua Museum, and once the nerve centre of the fish auction, where you can step back in time and take part in a twentieth century auction. Enjoy a plate of fresh chargrilled fish, washed down with a glass of txakoli, a wine which has its ancestral roots in Basque culture. In the afternoon, why not go on an exciting journey through geological time travelling through the Flysch Route. The Nautilus Centre in Mutriku, which houses an extraordinary collection of ammonite fossils, is a superb place to start your journey. Embarking at the harbour, the coastline showcases the breathtaking coastal cliffs of Mutriku, Deba and Zumaia, a monumental geology book, the pages of which reveal great mysteries of the history of the Earth. From Deba, travel inland to discover hidden worlds, that offer a visually stark contrast to the marine and coastal areas, yet they are within easy reach of each other. These hidden gems include the valley of Lastur, in Deba, one of the most beautiful, unexplored rural valleys in Gipuzkoa. We can learn more about the rural traditions with a visit to the old Plazaola mill, a cheesery or a textile workshop. We now embark on the next stage of the journey, through the Karst Route; a journey to a world of ancient marine rocks that make up the variety of surprising and unusual landscapes we can see today, an abode of mythical beings, a window on forgotten traditions, a place where we can discover our origins. Enjoy traditional dishes, sampling local specialities. Prepare to be amazed by the parish church of Santa Maria de Deba, the crown jewel of Basque Gothic architecture. 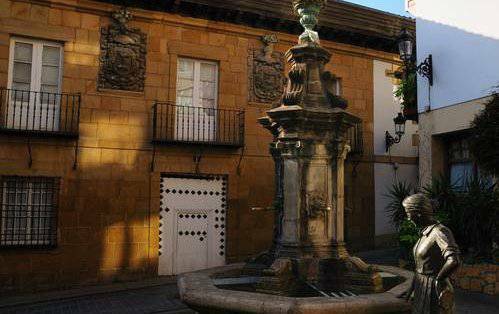 Located in the heart of the historic quarter of Deba, it is quite a surprise for the visitor. Deba is and has always been a fishing village, a place where visitors are drawn to discover the wide sandy beach and go for a stroll by the estuary and the sea. 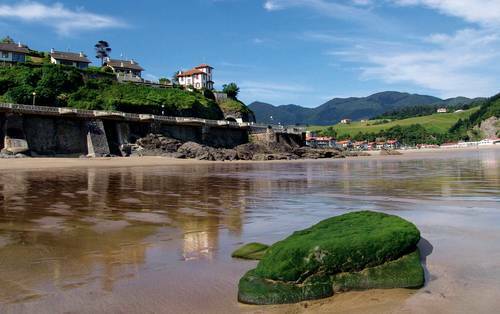 Zumaia is also the gateway to the Geopark. On a cultural trip to the town, we can see the most outstanding examples of Zumaia's heritage first hand. A visit to the parish of San Pedro, includes the climb up to the bell tower, from where we can admire the beautiful views of the surrounding area. No trip to Zumaia is complete without visiting the Zuloaga Museum, an old hermitage and inn for the pilgrims on the Road to Santiago (St. James' Way) which the painter transformed into a beautiful museum where his personal collection and some of his artwork still remain. In the afternoon, explore the Algorri Interpretation Centre, an absolute must-see on your trip, where you can learn about the flysch formation and the nature in the area. Be sure to go for a stroll to the Punta de Algorri, where we can enjoy the idyllic sunsets and a place where we can find traces of the last major planetary extinction. Tickle your tastebuds and titillate your senses sampling authentic pintxos in the old town in Zumaia. A thrilling journey through time on land and sea, discovering the greatest mysteries about the history of the Earth. Exploring an authentic, idyllic rural valley and connecting with the very essence of our traditional culture, while discovering hidden worlds. The stunning natural enclaves and the beauty of the landscape. 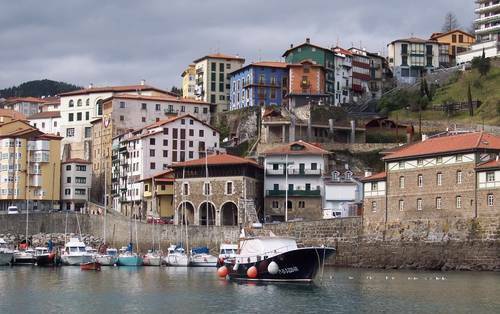 Savour some traditional pintxos or sample the local specialities in Mutriku, Deba and Zumaia.